Upcycling class at Knox Transfer Station. If you keep your eyes open in the City of Knox in Melbourne’s eastern suburbs, you’re likely to come across an excited group of learners in the unlikeliest of places. 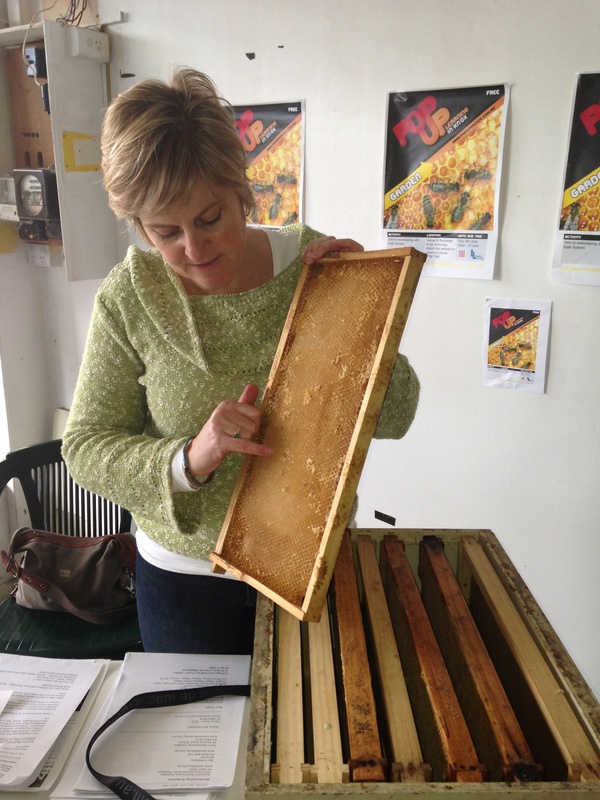 Whether it’s beekeeping in a disused shop or upcycling at the local transfer station, adult learning classes in Upper Ferntree Gully and surrounding areas are popping up all over. They’re free, open to all and tutors running the classes have no idea when they show up with their equipment exactly how many students are coming. 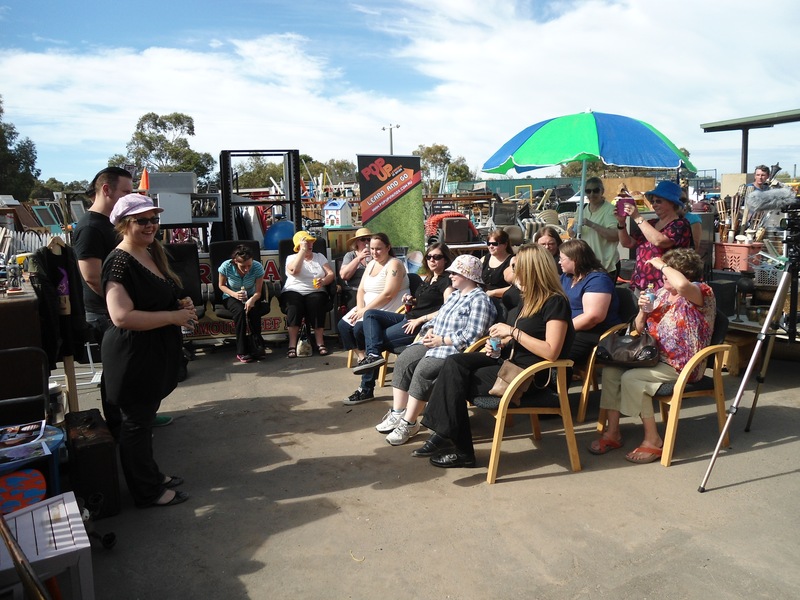 Pop up classes are the brainchild of Leanne Fitzgerald, Coonara Community House Manager who says the idea ‘just popped into my head’ after a planning session with colleagues. Given the success of pop up businesses – where businesses take advantage of empty buildings to open a short term pop up shop – the idea of offering classes along the same lines seemed to make sense. Leanne was right to trust her gut instinct. Since pop up classes began in January this year, they’ve already been ‘a phenomenal success’, gaining the attention of local councils, businesses, the media, and a diverse range of learners. Apart from upcycling and beekeeping, classes in first aid, car checks, and photography, digital literacy have also run in lunchrooms, mobile libraries, disused shops and caravan parks. The aim was to challenge the idea that adult learning had to take place in particular venues, at a fixed time. The spontaneity and surprise of finding classes being offered everywhere from the local tip to the local café has drawn new customers and clients who would not necessarily do a course at a neighbourhood house Leanne says. People’s preconceived ideas about adult education are challenged and barriers that might stop people taking part crumble. ‘It excites people. It’s not classroom learning and the way we’re offering it forces people to rethink – “Hey, maybe I don’t know all there is to know about Adult Learning”.’ As a bonus, she says, because the classes are often one off and no booking is required, ‘there’s no strings, they don’t have to commit’. Beekeeper Kate Schenck holding a frame used to collect honey. As a result, they’ve been approached by a number of local businesses who’ve said their staff want to participate. Classes in car safety checks, tackling bullying, and resuscitation techniques have popped up in carparks and staff canteens. The demand for different kinds of classes than those traditionally offered has meant Leanne has had to source new trainers. 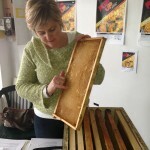 For example, no one on her current team could teach beekeeping or CPR so part of her role is to source people who can. Apart from the fact that trainers don’t know how many people might show up to their class – ‘it defeats the purpose to tell people they have to book’ – Leanne says trainers ‘really enjoy’ the work. The fact that the program is innovative and novel and that one of Leanne’s volunteers has strong marketing and promotion skills has helped to get them noticed. 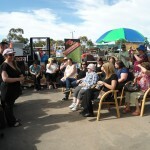 The pop up classes have been featured in the Age as well as on ABC Radio. Leanne says their centres pride themselves on their relationship with journalists and an active social media campaign. Leanne says the pop up classes success is a result of a long tradition of teamwork that’s been adopted from the very start by the five centres in her local government area (LGA). Visit the Pop up Learning in Knox page on Facebook.